Above and beyond the professionalism and standardization that we provide, you will also enjoy the personal approach of our company’s policies. We will guide you every step of the way and answer any questions you may have for any aspect of your wedding. 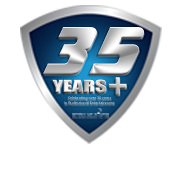 You will benefit from our 35+ years of knowledge and experience. Event-specific planning and management that address our corporate clients’ needs in regards to live entertainers, pipe and drape services, projection services, gobos, company logos, and sound/lighting requirements.